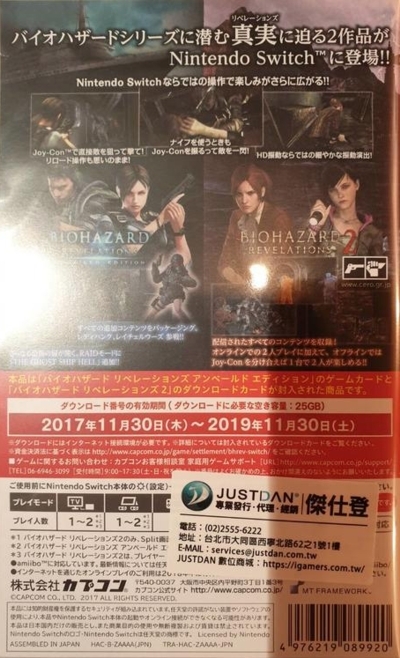 The Japanese edition was released in Taiwan by the official local distributor, Justdan, with an age rating sticker on the front and a contact information sticker on the back. The game came with a short manual. 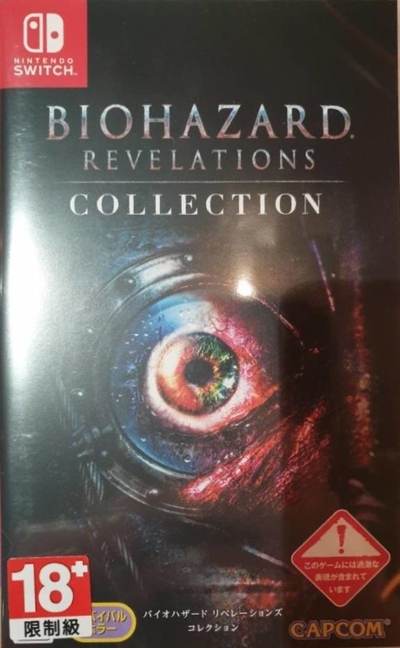 Only Biohazard Revelations Unveiled Edition is included on the cartridge. Biohazard Revelations 2 had to be downloaded. The download code expire on 2019.11.30. Thanks to Ruten member game_expert (images 1-2).